My children and I are currently in recovery after leaving a domestic violence situation back in 2010. Both my children and I have PTSD, but we are on the path to recovery. Both of my children also have high functioning autism, complicating treatment and their recovery. It has been a long haul to get where we are today. Not all of the treatment that we have received was helpful or effective. The biggest thing that has helped us is knowing that we have friends and family that care about us. I am sharing our story because what has helped us may help others. When I initially left my ex-husband we were extremely isolated, and that made it difficult to leave and heal. I am originally from the North Shore, and my ex moved us to Lowell, which isolated me. I didn’t know anyone in the area. Luckily, we found a program that allowed their social workers to visit me frequently. They provided the support that I needed to push me to follow through with leaving my situation. This experience has taught me that we truly need the support of others There are some things that we cannot do completely alone. Raising children is one of them. It really does take a village. After leaving my ex, my family immediately started therapy with a big agency in Lowell. This agency taught me how to restrain my children, triggering them in the office to have me practice restraint. I now know this was a completely inappropriate thing to do. Restraint should always be a last resort. This agency, like many in the Lowell area, has a very high turnover of staff. They also overmedicated me. I luckily had a friend point this out to me. Snowing me with medication was not a good solution, and it slowed my recovery. For me to move forward, I needed to feel the pain I was feeling and move through it. Taking a pill for depression and anxiety is not a fix. Sometimes medication is needed, but overmedicating patients isn’t acceptable. Patients who live with anxiety and depression and/or who are recovering from trauma need to develop skills and foster their strengths to function fully. I am very fortunate to have a circle of friends who care deeply about us. One of my closest friends is a social worker who pointed me in the direction of Dr. Ross Greene’s, Collaborative Problem Solving (CPS). 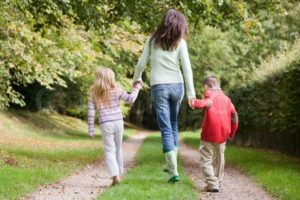 I changed from a traditional consequence-based way of disciplining my children to listening to them, and looking at why they behave the way they do. With this approach, I have been able to help them develop skills. Attachment Regulation and Competency (ARC) is a trauma informed treatment approach (similar to CPS) that is beginning to be implemented in the Lowell area. When working with children with mental health and behavior issues it is important to focus on building their skills and self-esteem. My family continues to work on managing emotions. We have had to work on accepting that sometimes emotions are not fun. The zones of regulation have been helpful for teaching my children to identify what they are feeling and assess what they can do to calm themselves down. There have been times when I have thought I couldn’t manage the job I was given, parenting two high needs kiddos. When one of my children was younger, they had a habit of running off, and both children had explosive outbursts. There have been very challenging moments where my friends and community support have been all that has gotten me through. There was a time that I thought my history of depression made a less qualified parent. I realize now that my own trauma history and my struggle with depression make me the best qualified person to raise my children. No one else will love them, empathize with them, or fight for them the way that I do. I luckily was reminded that the one thing that correlates with children recovering from trauma is their having one constant person who loves them. There are times that all we can do as parents is put one foot in front of the other, slowly pushing forward. We need to cut ourselves some slack and accept that we are not going to be perfect. All we can do is our best. We can learn from our own trauma experiences and give our children the best life we can! Christle Roberts is the mother of two children with complicated needs. When she is not parenting, she loves to crochet, knit, cook, and teach English Speakers of Other Languages (ESOL). She hopes that sharing her story will help other parents who are raising high needs children. Thanl you for sharing such helpful information. Looking forward to your suppprt. Eileen-I am just responding to you. This is Christle.